Ostrava is the capital of the Moravian-Silesian Region in the north-eastern part of Czechia. It is the third largest city of the country. The city is divided between the two historical lands of Moravia and Czech Silesia. The Moravian part is called Moravská Ostrava, and the Silesian part is known as Slezská Ostrava. They are separated by the Ostra river. Silesian Ostrava Castle (Slezskoostravský hrad) is located close to the confluence of the Lučina and Ostravice rivers, in the Silesian part of the city. It was built in the second half of the 13th century to protect the trade route from Opava to Cracow in Poland. The castle fell into disrepair in the 20th century. Fortunately, in 2004 the city of Ostrava purchased the decaying castle and renovated it. Nowadays, the castle hosts a number of regular cultural events, e.g. the Silesian Ostrava Open Air Rock Festival Slezskoostravský Rock-Fest Open Air, or the Summer Shakespeare Festival (Letní shakespearovské slavnosti). Lower Vítkovice (Dolní oblast Vítkovice) was included in the country’s tentative list of World Heritage Sites in 2001 and in 2002 it was declared a national heritage site. It is the area of former ironworks preserved for posterity as industrial heritage. The former Hlubina coal mine supplied fuel for the blast furnaces and coke ovens. 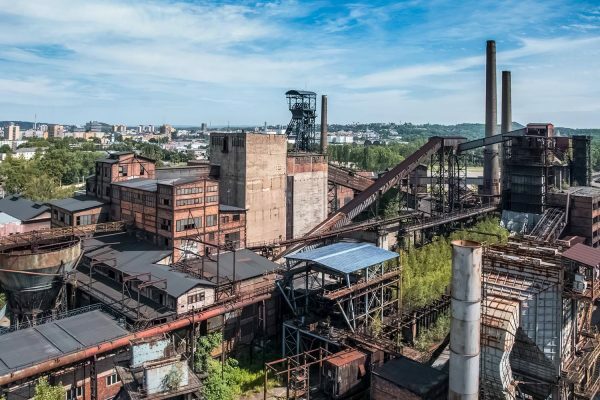 This has made Lower Vítkovice unique, as it is the only preserved complex in Europe where the entire process of iron production took place at a single site. 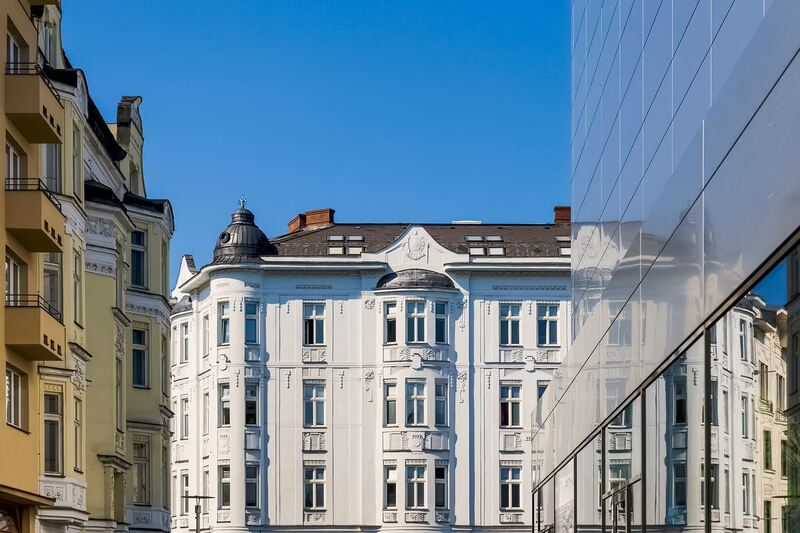 The industrial complex has been transformed into a cultural and educational center. More information can be found on the official website. Lower Vítkovice is sometimes jokingly called Ostravské Hradčany (the Hradčany of Ostrava), after the famous Hradčany where Prague Castle is located. Masaryk Square (Masarykovo náměstí) is the central square of the city. 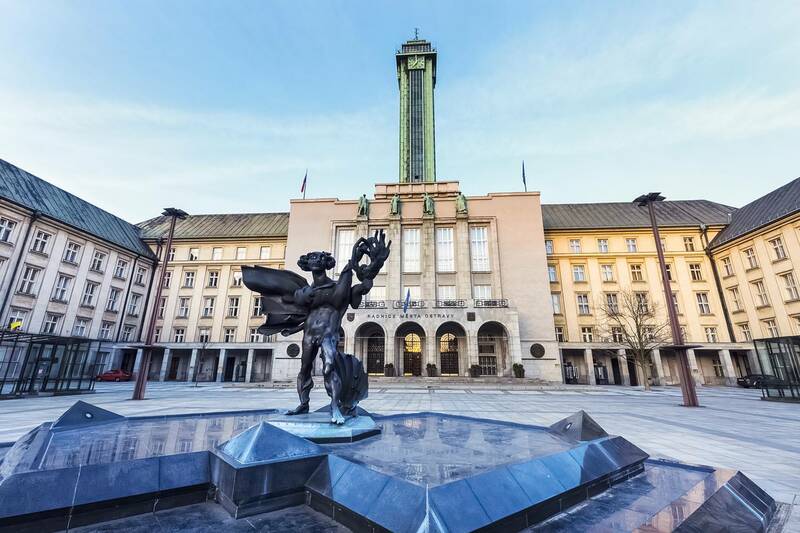 Many Czech cities and towns have squares named after the first president of Czechoslovakia, Tomáš Garrigue Masaryk, and so does Ostrava. The top photo in this article shows Masaryk Square in Ostrava. There are quite a few cafés on Masaryk Square, where you can relax after sightseeing. The New Town Hall (Nová radnice) is located on Prokešovo Square (Prokešovo náměstí). It belongs to the largest town halls in Czechia and boasts the highest tower (85.6 m / 280 ft) of all Czech town halls. And the best thing about it is that there is an observation platform at 73 m (239.5 ft) above ground. If the visibility is good, you can see the bordering region in Poland and Mt. Praděd in Hrubý Jeseník mountains. The opening times of the observation platform can be found here. Stodolní Street with its numerous bars and clubs is the center of the city’s nightlife. Getting to Ostrava is very easy. The Leoš Janáček Airport Ostrava (OSR) is located about 20 km (12 mi) from the city. It is an international airport, but the number of international flights is very limited and many of the destinations are served only by seasonal charter flights. 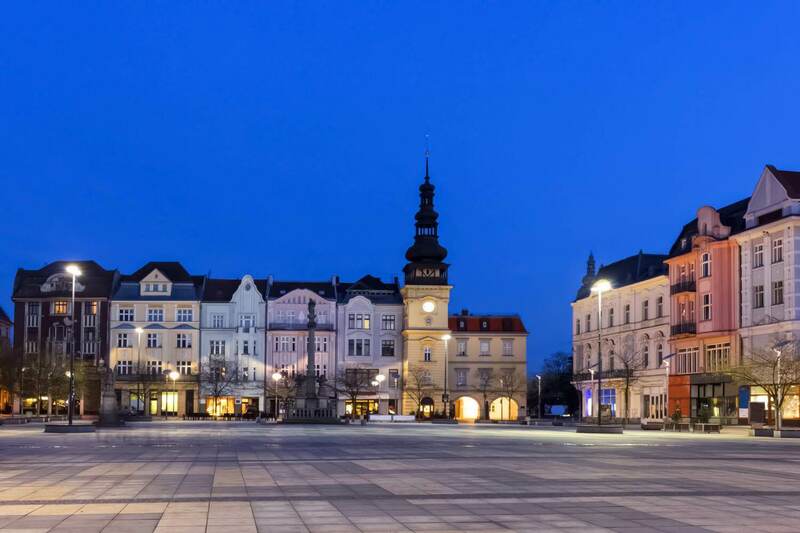 However, there are relatively frequent flights to and from Prague, so you might find a convenient flight connection to Ostrava via Prague. Alternatively, you can land in Prague, Brno or even Katowice (Poland) or Vienna (Austria) and from there get to Ostrava by train or bus. Ostrava is one of the major cities in the Czech Republic, so naturally there will be many train and bus connections to choose from. Here is a convenient website with train and bus timetables. The main train station in the city is called Ostrava hlavní nádraží.